Timberland President/CEO Jeffrey Swartz, who's family founded Timberland and hold 73% voting power, on one of his "solidarity" visits to Israel days after the Jenin massacre advised Israel to send 100 IDF thugs fresh from Jenin to the US as ambassadors in the hope such a campaign would mobilize American Jews to visit and write cheques for Israel, helping its ailing economy. Jeffrey Swartz is a board member of Birthright Israel which sends 1000s of Jews to Israel every year in the hope they will take up their so called 'birthright' and settle on stolen Palestinian land. In 2000 Swartz was the keynote speaker at a 'Israel Bonds' fund raiser, the money going in part to build the illegal settlements railway. Timberland also has several stores in Israel and Swartz wishes to open more. Timberland brands include Timberland PRO (professional work gear), howies (cloths & gear), iPath (skateboarding-inspired cloths and footwear) and Smartwool (wool based apparel - socks). Timberlands is a $1.6 billion footwear, apparel & accessories company, employing 6,300 people around the world. Although Timberland is a publicly traded company, the Swartz family who founded the firm still holds approximately 73% of the voting power. Jeffrey Swartz has been the President, Chief Executive Officer of Timberland Company since 1998, he also serves as a director of Limited Brands Inc. Jeffrey Swartz is an active zionist. In April 2002, just days after the Jenin massacre, Jeffrey Swartz made a four day "solidarity" visit to Israel in which he advised Israel how best to get its propaganda lies acceptable to the US public. In an interview, where he made it clear he was speaking as the CEO of Timberland, he advised sending 100 IDF thugs who took part in the recent slaughter in Jenin to the US as ambassadors for Israel suggesting that they were "simple average people" who Americans could relate to.. Swartz voiced the hope such a campaign would mobilize 100,000 American Jews to be more politically involved; and encourage them to write a check to help Israel and bring 25,000 American Jews to Israel by the end of the summer, helping Israel's ailing economy. At the time (2002) Timberland had six stores in Israel, and it products sold in 17 other sporting-goods stores owned by its Israel distributor, Sakal. 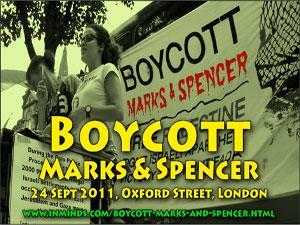 In the interview Swartz said he wants to see more stores open - "especially now" (after Jenin). 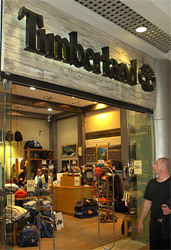 Due to poor sales Timberland now (2009) only has five stores in Israel. 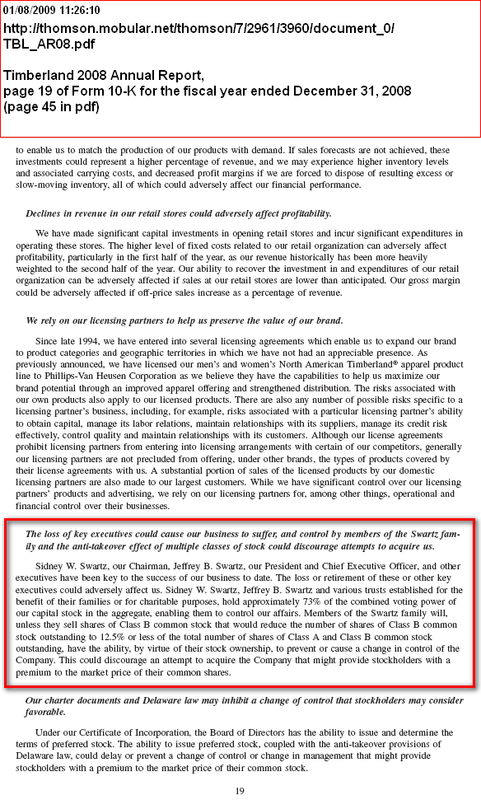 The Jewish Agency, which claims to have built the state of Israel by bringing 3 million Jews to Israel to settle on stolen Palestinian land, acknowledged that Timberland CEO Jeffrey Swartz headed another Boston solidarity delegation to Israel in March 2004, to Haifa. There they were joined by 25 Navy soldiers from the Israeli officers academy. 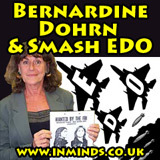 Projects included helping jewish immigration to Israel from the former Soviet Unions and Ethiopia. The Sakal group, which represents Timberland in Israel, donated 1000s of their stock (shoes and cloths) towards the project. Jeffrey Swartz is a board member of Birthright Israel which sends 1000s of Jews to Israel every year in the hope they will take up their so called 'birthright' and settle on stolen Palestinian land. Jeffrey Swartz was the keynote speaker at a State of Israel Bonds dinner in 2000 to help raise money for the state of Israel. 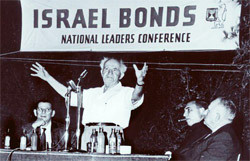 David Ben-Gurion established the Israel Bonds program in 1951, as a means of providing Israel with urgently needed economic support. Israel looks to Israel Bonds as a vital, "no strings attached" means of raising capital. The money is used in projects including the Jerusalem light railway linking west Jerusalem to illegal Jewish settlements in occupied east Jerusalem therby directly helping Israeli annexation of the territory of east Jerusalem, the line is built illegally on Palestinian land. Every year Israel raises US $1 billion from the sales of Israel Bonds, such a dinner as the one Swartz promoted typically brings in over US $1 million. In total, sales of Israel Bonds have raised over US $26 billion for Israel. After Israels attack on Gaza (Operation Cast Lead) Israel Bonds (the US underwriter) arranged 8 IDF officers from the infamous Golani Brigade, known for their war crimes, to tour the US helping spread Israels lies about the slaughter. In Dec 2000 Jeffrey Swartz along with the Israeli Ambassador Daniel Ayalon were VIP speakers at the 4 day Hillel International Professional Staff Conference in Princeton. 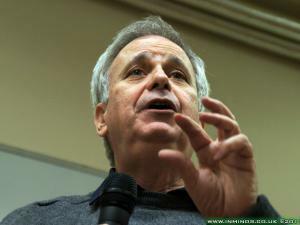 Hillel has been described as Israels voice on US campuses, the Israeli Ambassador in his address praised Hillel for 'combating anti-Israel activity' on campuses. 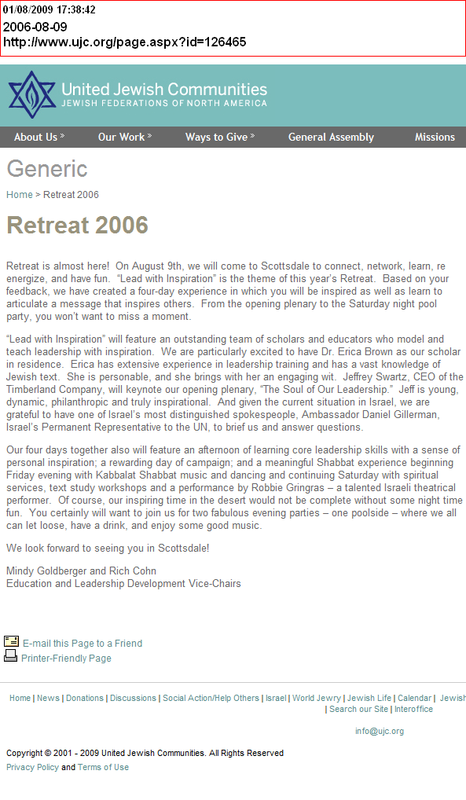 In Aug 2006 Jeffrey Swartz along with Israeli UN Ambassador Daniel Gillerman were VIP speakers at the 4 day retreat of the UJC (United Jewish Communities) in Scottsdale. The UJC, under its United Israel Appeal programme, "helps US Jewry to fulfill its ongoing collective commitment to contribute to and participate in the building of the Jewish State of Israel" by securing funds for "the immigration and absorption of Jewish refugees to Israel". 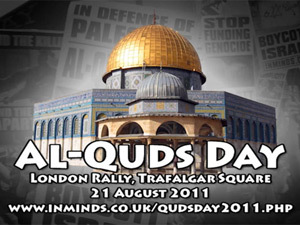 Its Israeli operating agent is the infamous Jewish Agency for Israel. 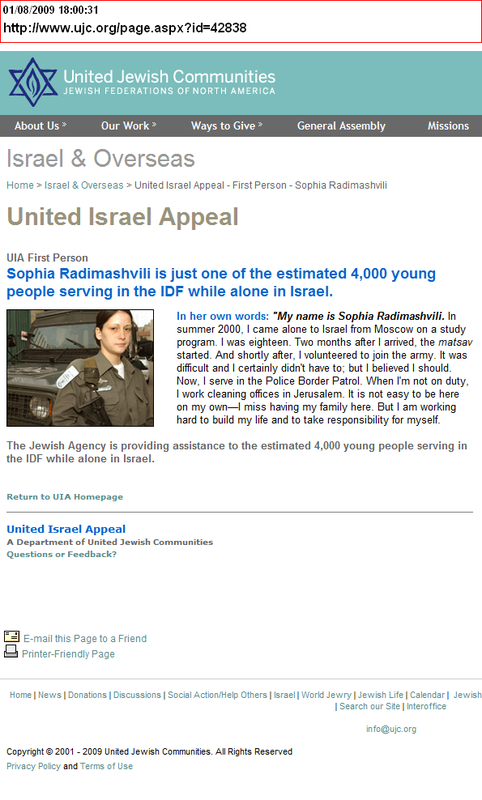 Under their "UIA First Person" success stories they feature 18 year old Sophia Radimashvili from Moscow who within 2 months of arriving in Isreal is part of the army, serving in the "Border Patrol", they estimate she's just one of 4000 other young immigrants they support in the IDF. 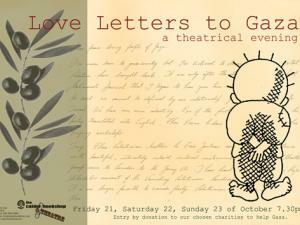 Under its "Israel Solidarity Drive" in response to Israel's military operations in Gaza it hopes to raise $10 million for Israel.. 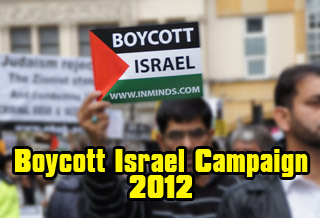 Under their "Israel Advocacy" section their website states that the primary principle behind the 'Israel Advocacy Initiative' is "that the continued support of the United States government is essential to guarantee Israel’s long-term security", their job is to ensure this happens - that the US continues to blindly support Israel. 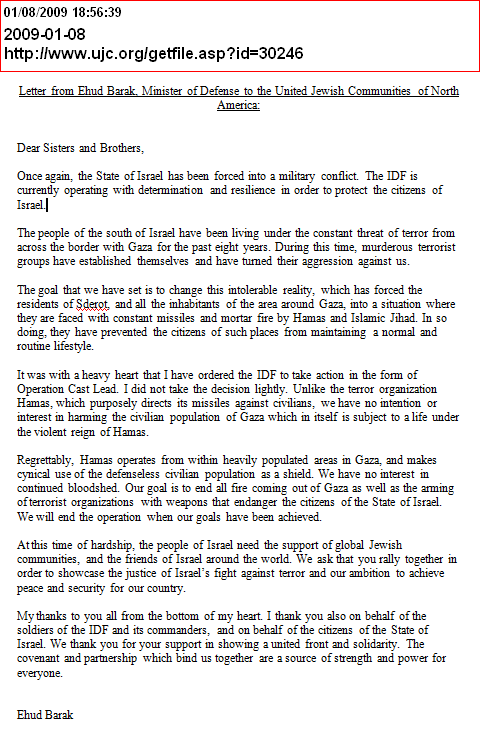 And it seems to be working as under it they display a 'thank you' letter from Israel's Minister of Defense Ehud Barak, sent after "Operation Cast Lead", he thanks the UJC "on behalf of the soldiers of the IDF and its commanders" for a job well done. The Cleveland Jewish News article on Jeffrey Swartz reported that "naturally Both of Swartz's parents, Judy and Sidney [who is chairman of Timberland], are ardent Zionists" quoting Swartz "My mother's great passion in life is Hadassah (she's on the national board) and the land of Israel". 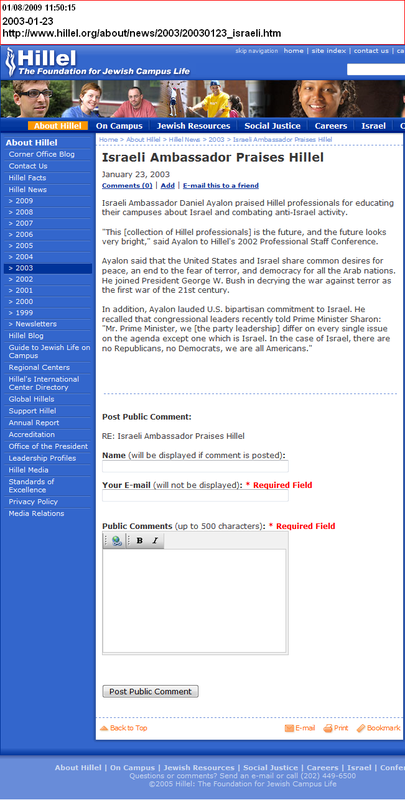 Hadassah is the Women's Zionist Organization of America. Hadassah's policy document includes all the usual zionist action points from "calls on the United States Government to veto anti-Israel UN resolutions.. urges the US Administration to use its global leadership position to discourage boycotts of Israel by other countries.." to "Calls on the US to increase aid..". 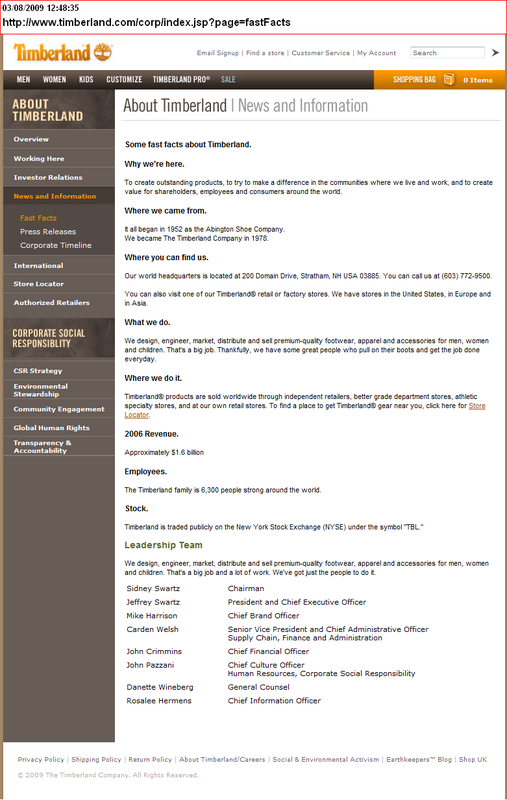 "Jeffrey Swartz the CEO of Timberland headed the group. The group started their visit in Israel by visiting Haifa, Boston's partner city in Israel.. Twenty five Navy soldiers from the officers academy joined the Boston group as did mayor of Haifa Mr. Yona Yahav, members of city council and many other volunteers. The Sakal group, which represents Timberland in Israel, donated thousands of clothing items and shoes from their stocks.."
"..the Jewish Agency has brought the Jewish world together since 1929 to do the impossible. 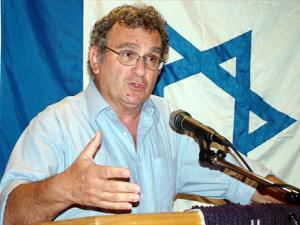 Building the State of Israel; bringing 3 million Jews home." 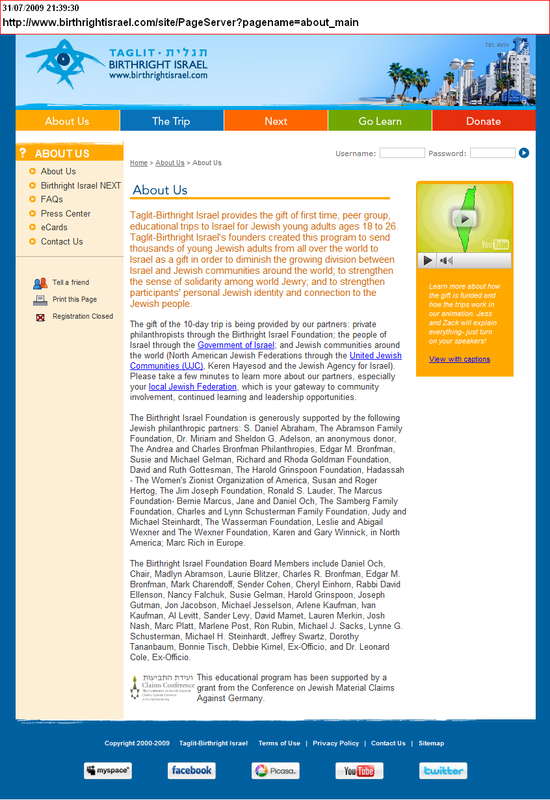 "The Birthright Israel Foundation Board Members include..Jeffrey Swartz"
"Sidney W. Swartz, Jeffrey B. Swartz and various trusts established for the benefit of their families or for charitable purposes, hold approximately 73% of the combined voting power of our capital stock in the aggregate, enabling them to control our affairs." "Timberland Chief Executive Officer Jeffrey Swartz, Hillel International Board of Governors Co-Chair Michael Steinhardt, Hillel Board of Directors Chairman Neil Moss, Israeli Ambassador Daniel Ayalon and United Jewish Communities Chief Executive Officer Stephen Hoffman joined over 500 Hillel professionals from around the world at the Hillel International Professional Staff Conference in Princeton, NJ. The four-day conference included representatives from Hillel in Russia, Ukraine, Israel, Argentina, Brazil, Uruguay, Canada, Australia, and the United States.. Timberland CEO Swartz addressed Steinhardt JCSC Fellows and other professionals as part of the Kolker-Saxon-Hallock Engagement Institute.. In a plenary address, Ambassador Ayalon praised Hillel professionals for their pro-active Israel education on campus." "Israeli Ambassador Daniel Ayalon praised Hillel professionals for educating their campuses about Israel and combating anti-Israel activity." "Jeffrey Swartz, CEO of the Timberland Company, will keynote our opening plenary, “The Soul of Our Leadership.” Jeff is young, dynamic, philanthropic and truly inspirational. And given the current situation in Israel, we are grateful to have one of Israel’s most distinguished spokespeople, Ambassador Daniel Gillerman, Israel’s Permanent Representative to the UN, to brief us and answer questions." 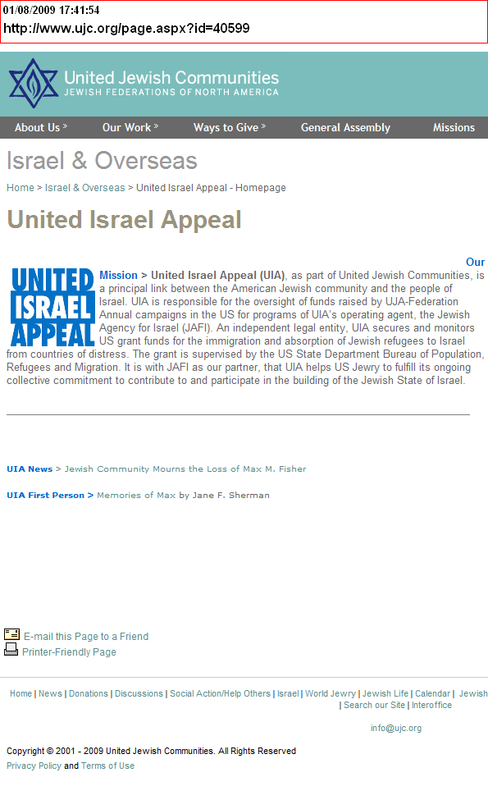 "United Israel Appeal (UIA), as part of United Jewish Communities, is a principal link between the American Jewish community and the people of Israel. UIA is responsible for the oversight of funds raised by UJA-Federation Annual campaigns in the US for programs of UIA’s operating agent, the Jewish Agency for Israel (JAFI). An independent legal entity, UIA secures and monitors US grant funds for the immigration and absorption of Jewish refugees to Israel from countries of distress. The grant is supervised by the US State Department Bureau of Population, Refugees and Migration. It is with JAFI as our partner, that UIA helps US Jewry to fulfill its ongoing collective commitment to contribute to and participate in the building of the Jewish State of Israel." Sophia Radimashvili is just one of the estimated 4,000 young people serving in the IDF while alone in Israel. In her own words: "My name is Sophia Radimashvili. In summer 2000, I came alone to Israel from Moscow on a study program. I was eighteen. Two months after I arrived, the matsav started. And shortly after, I volunteered to join the army. It was difficult and I certainly didn't have to; but I believed I should. Now, I serve in the Police Border Patrol.." The Jewish Agency is providing assistance to the estimated 4,000 young people serving in the IDF while alone in Israel. "United Jewish Communities / the Federations of North America expresses its solidarity with the people of Israel in the wake of the gaza cease-fire of Operation Cast Lead. In response to Israel’s defense military operations and the growing humanitarian needs in Southern Israel, the UJC / Federation system launched the Israel Solidarity Drive. This effort aimed to raise $10 million.."
My thanks to you all from the bottom of my heart. I thank you also on behalf of the soldiers of the IDF and its commanders, and on behalf of the citizens of the State of Israel. We thank you for your support in showing a united front and solidarity. The covenant and partnership which bind us together are a source of strength and power for everyone. "Calls on the United States Government to veto anti-Israel UN resolutions and "return the United Nations to the ideals and principles on which it was founded." "Urges the US Administration to use its global leadership position to discourage boycotts of Israel by other countries, as well as academic and scientific institutions in the US and around the world." "The Arab Boycott - ..Urges the United States Government to exert pressure on Arab states imposing trade restrictions and to renounce the boycott." "Urges the United States to move its embassy from Tel Aviv to Jerusalem." "Urges the United States to maintain its current level of economic and military aid to Israel as the only democratic, dependable ally in the Middle East. Notes the economic needs of hundreds of thousands of Israeli immigrants from the former Soviet Union whose immigration was aided by the United States. 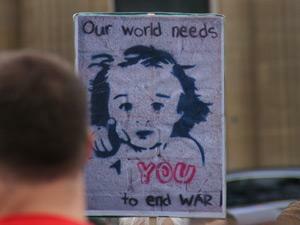 Calls on the US to increase aid for their absorption." Both of Swartz's parents, Judy and Sidney, are ardent Zionists. My mother's great passion in life is Hadassah (she's on the national board) and the land of Israel," says Swartz, 40. "As a kid, I remember being dragged around to rallies and meetings commemorating or celebrating anything that had to do with Israel." Swartz's passion for Judaism will be evident when he is the keynote speaker at a State of Israel Bonds dinner honoring Maury and Bess Feren at Park Synagogue Main on Sunday evening, Sept. 10. Employees - The Timberland family is 6,300 people strong around the world. Timberland’s history began in 1952, when founder Nathan Swartz bought a half interest in the Abington Shoe Company. Three years later, he bought the remaining interest and welcomed his sons into the Company, manufacturing private label shoes for leading brand manufacturers. In 1973, the Swartz family began manufacturing its first guaranteed waterproof leather boots and shoes under the Timberland brand name, and in 1978, they changed the name of the company to The Timberland Company. In 1986, Nathan’s son, Sidney Swartz, became the sole proprietor of the family operation. A year later, Sidney brought the Company public on the American Stock Exchange. Since 1991, Timberland has been listed on the New York Stock Exchange under the symbol TBL. 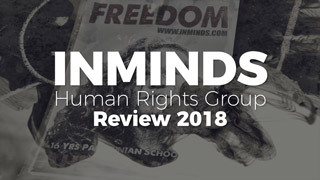 [After Operation Cast Lead] Israel was once again cast in an all-too familiar role as international pariah.. Israel Bonds President & CEO Joshua Matza was outraged and determined to set the record straight. Contacting IDF Chief of General Staff Gabi Ashkenazi.. eight IDF officers, representing the paratroopers, Golani Brigade and Homefront Command, were chosen to come to the United States [Operation Maccabee] to provide accounts of courage under fire while simultaneously explaining the IDF’s strenuous efforts to protect Palestinian civilians. The soldiers were welcomed at a New York luncheon with the participation of UN Ambassador Gabriela Shalev, Consul General Asaf Shariv and over 100 Israel Bonds leaders.. Visiting 20 communities from May 11-20, each soldier told a story.. The powerful emotional connection provided by ‘Operation Maccabee’ highlighted the essential and continuing Israel Bonds effort to strengthen support for Israel..
 Israel Bonds are securities issued by the State of Israel to help build the nation's infrastructure.. David Ben-Gurion established the Israel Bonds program in 1951, as a means of providing Israel with urgently needed economic support.. When the first Israel Bonds were sold in 1951, sales for the year were US $52 million. It took almost a decade to reach the first billion. 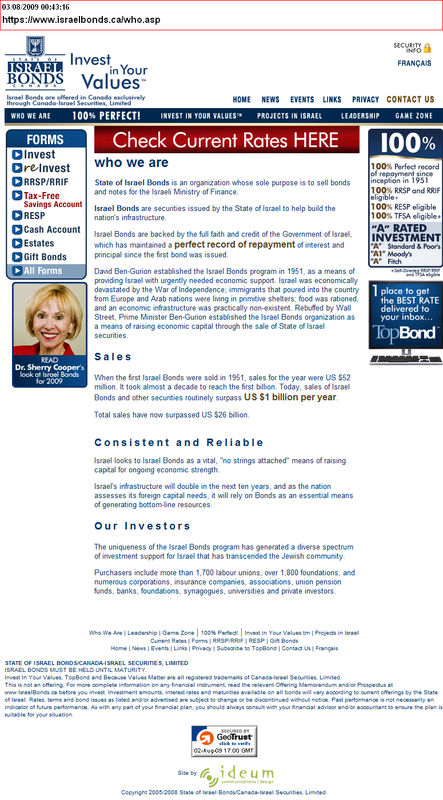 Today, sales of Israel Bonds and other securities routinely surpass US $1 billion per year. Total sales have now surpassed US $26 billion. 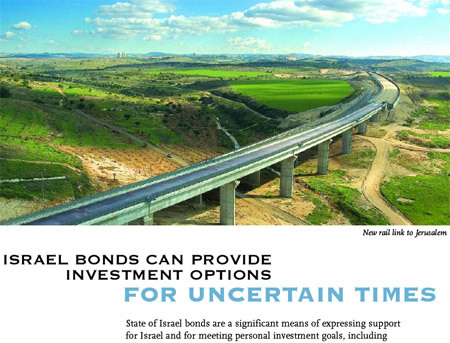 Israel looks to Israel Bonds as a vital, "no strings attached" means of raising capital for ongoing economic strength. 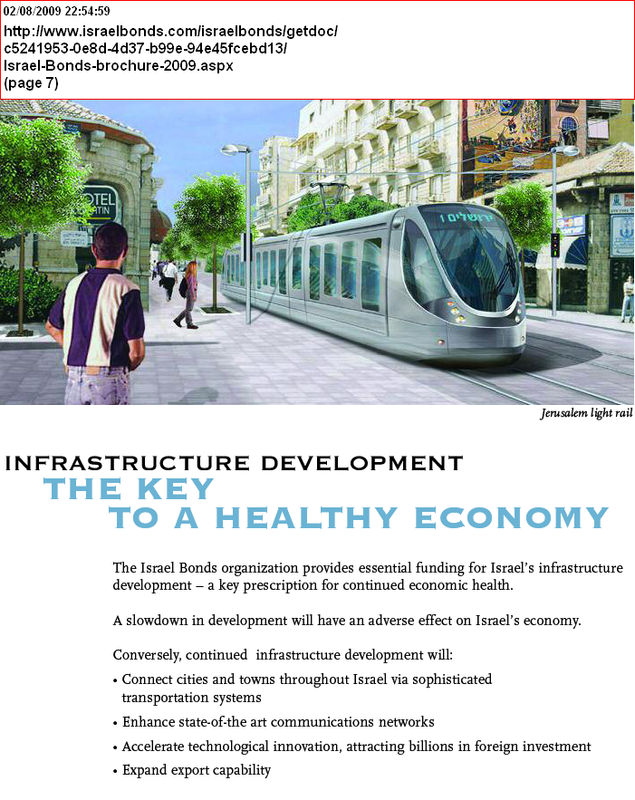 Israel's infrastructure will double in the next ten years, and as the nation assesses its foreign capital needs, it will rely on Bonds as an essential means of generating bottom-line resources. 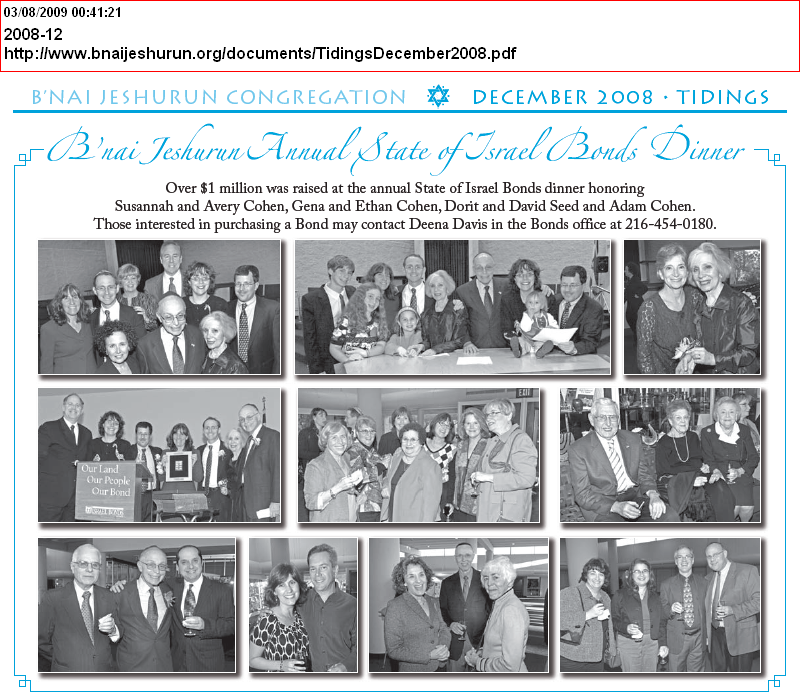 "Over $1 million was raised at the annual State of Israel Bonds dinner.."